The decision is now final. You’ve accepted the promotion and narrowed down the list of potential new homes, and you’ll be moving soon. Now comes the hardest part — planning the move and telling the kids. Children and adolescents typically aren’t thrilled by moving. Fortunately, there are some steps you can take to ease the transition. Your attitude about moving and your willingness to let your children share in the experience will influence their feelings. Try a few of the following tips to make the move as anxiety-free as possible. Have a Family Meeting: Call a family meeting. Order some pizza and gather around the dining room table for a casual dinner and lots of conversation. 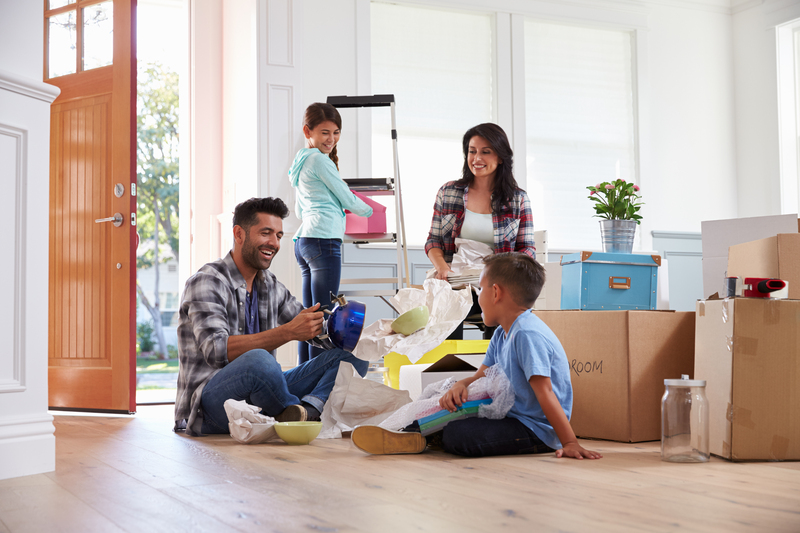 Explain why you’re moving and how it will impact the entire family. Tell them how you feel about the move. Encourage them to express their feelings and concerns. If this is their first time moving, it could be particularly difficult because they’re leaving their family home. Share with them your first-move experience. Let them know you’ll be depending on them to help out during the move, from packing to settling in to the new place. Get the Kids’ Feedback on the New Home: If possible, involve your children, especially if they’re older, in the selection process of the new home. Once you’ve narrowed the choices down to two or three houses, get some feedback from the kids. Ask them to share their three favorite things about each house. Let them know you’ll take their comments into consideration when making the final decision. After you’ve picked the house, keep them posted through the process. Have a little celebration once you know you’ve got the house. 3)	Stuff I don’t use and don’t even remember why I have. #3 and those things you kept in pile #2 move to pile #1. Pack up pile #1 for moving! Pile #3 needs to be divided into three parts: donation, trash and sell. The stuff in donation and trash do this right away to reduce clutter. The stuff to sell, take pictures and post online or organize and garage sale. To make it more fun, tell the kids that the money we make from selling the stuff will be used to buy something fun for the family like a new game console, new TV or whatever the family likes to do. Make Room Plans: To get your children excited about the new house, make room plans. If they’re interested get their suggestions for decorating the house. Bring them along when you are looking at paint swatches, furniture and linens. It doesn’t have to be expensive. Check out consignment and thrift stores. Then, when it’s all done, you can invite some family or friends over for a “big reveal” like they do on TV shows. Do a Site Visit: If you’re able, take the kids to the new place for a visit. If you’re just moving across town, plan to spend the day doing a walk-through of the house and a tour of the new neighborhood. If you’re moving a great distance away, you might still be able to do this, even if it just means beating the moving van by a couple of days and staying in a local hotel. Host a ‘See You Soon’ Party: One of the most difficult things about moving for any child is saying goodbye to friends. You could lessen the anxiety of this by hosting a get-together with family, friends and neighbors and call it a “See You Soon” party. During the party, make sure everyone exchanges contact information, and take photos of your kids with their friends. Between texting, e-mails and phone calls your kids should be able to maintain old friendships while transitioning to their new surroundings and making new friends. Map the Move and Getting know where you are going: If you’re moving a few towns away or to another state, pull out the GPS, maps and atlas. Talk about the drive, how long it will take, if you will be staying overnight at places during the trip. Show each child where you will be going on the map so they have a visual. Have pictures of the community. Have each child look online and find out something interesting about the new community. Be a Tourist in the New Place: Once you have moved and settled into your new home, check out the local tourist information centre and grab some guides and brochures of interesting things to do. Take time in the first month to visit a fun places and experience your new surroundings as a family. Make a point of scheduling these excursions so the whole family can enjoy together. Discovering what your new community has to offer will remove a lot of insecurities and anxiety.